All I want for Christmas is a competitive team to watch and root for on Sundays from September through January (February if I’m lucky, but I won’t push my luck). Instead, I am stuck with a wretched team that makes playing football for a living while making a fortune look like a dead-end office job for $40k a year. I am stuck with a brand-new General Manager who thinks, walks, talks, and acts like he invented the game of football and been christened the next “King of Football” by Bear Bryant, George Halas, Vince Lombardi and John Madden themselves. I am stuck with a new coach who was at the coordinator-level in the NFL for all of two seasons before being annointed the next brilliant Head Coach and all the while expecting grown men to bow at his feet before ever winning a game. Oh and by the way, he still hasn’t won a game. Santa, I am a Chiefs fan and I need your help. I am a long-time Chiefs fan who traveled from NY to KC 2 weekends ago with my father for my first ever trip to KC. My dad, a life-long Giants fan, was probably rooting for the Chiefs as much I was but for different reasons. You see, he just wanted to see a competitive game at the least. 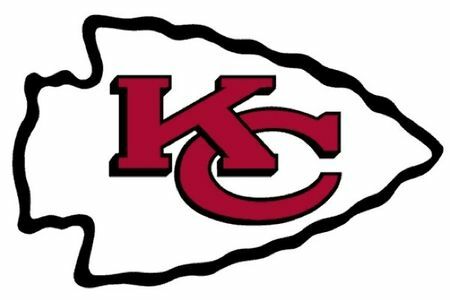 I on the other hand had been dilusioned into thinking the Cheifs would pull off a miracle to annoint ME the great missing link in the Chiefs organization. I had been dreaming about going to Arrowhead since about 1989 when I became a Chiefs fan thanks to the Nigerian Nightmare, Christian Okoye. I watch every single game, and you’d be hardpressed to find a KC fan who knows as much about the players and team history than I do. I find myself thinking back longingly to the days of Okoye and Barry Word, the greatest running back tandem in my eyes in NFL history. Well, at least in Techmo Super Bowl history. I miss watching Derrick Thomas wreak havoc on opposing quarterbacks. I miss the days of hearing opposing coaches and players say that Arrowhead was THE most difficult stadium to play in because of the noise. Heck, I’ve even found myself missing “Marty-Ball” as a method of offensive inginuity. Yes, it is a sad state of affairs. Back to my trip though Santa…first off I have to say that Arrowhead and Kansas City as a whole completely exceeding my expectations. I was blown away by the beautiful city, friendly people, and a tailgating atmosphere that was something I only heard about through legends. I was in awe, and I enjoyed every minute of my trip….and then the Giants kicked-off. Fumbles happen in this game, but why when they happen to the Chiefs do they seem to signal the end of the game. This time, it only took 4 seconds off the scoreboard to signal the end of this one. In a stadium with as much energy I’ve been in since the 1997 Rose Bowl game (OSU vs. ASU with Jake “The Snake”) it was instantly deflated. Completely and utterly silenced. After spotting the G-Men 7 pts to effectively become 16 1/2 point underdogs, Haley’s latest brilliance trotted out there. The Chiefs fan sitting next to me chuckled as I said upon first glimpse of the wildcat formation, “You’re about 2 years late on that one Todd”. The Chiefs were never closer in this game than with 14:56 left in the first quarter. The fact that they played the ‘ol “freeze-out” with LJ on the 1 yard-line at the end of the game only added insult to an already jilted one-time dominant back. Between Dwayne Bowe and LJ, I don’t know whose body language was worse and who could care less. I watched Bowe literally jog off the line on the majority of PASS plays, as if he didn’t even want Cassel to throw it his way out of fear for getting decapitated. Funny thing is, I can’t blame him. I found myself wondering if Derrick Johnson had insulted Todd Haley’s wife because there was no way he should be on the sideline the entire game when a 50-year old-looking Mike Vrabel got abused and humiliated play after play after play. As the 4th quarter rolled around and Haley continued to defy logic, I felt a sort of comfort I don’t get watching the games at home by knowing 77,000 people felt the same way I did at that very moment. I felt like I wasn’t alone as the only Chiefs die-hard fan on the east-coast for the first time. At that moment, I had plenty of others to share in my misery. All in all I left my trip with mixed emotions. I feel like the combined city and fan experience is second to none, but unfortunately the product on the field is last to none. I feel for the locals who have to listen to how bad their team is week in and week out, while I watch every game but get to go back to the confines of local news and coverage after yet another dismal Chiefs display. I give credit to the faithful who have their custom Chiefs tailgate mini-bus, adorned with tv’s, grills, and Chiefs regalia, yet I can only imagine what it is like driving around in a moving-symbol of loss and futility, much like the confederate flag on cars in the south. All I asked for (and my Giants-fan father) was a competitive product. We got more than we could ask for from everything except for that. But for that reason, I need to applaud the city and its people, not the team. I do hope I will make it back one day and be able to look back on this game as a reminder of how far the team has come. Unfortunately, under the current leadership of Pioli and Haley, I don’t see it happening. I came back home and this past weekend watched KC hand a game over to a Dallas team that was awful. At no point at all during that game did I feel confident the Chiefs would win. Now I look toward Sunday as one of the 2 remaining games the Chiefs have a legitimate shot at winning (they are playing the hapless Redskins…the other game is the next Raiders matchup). I cannot even look forward to next year’s draft because after reaching for yet ANOTHER under-motivated, over-hyped LSU player, God only knows who they will take this time at pick #3 (just behind the Rams and the Bucs). But hey…there’s always the tailgate, right? So please Santa. Forget the 50″ big screen TV and the PS3 and the vacations and everything else. The TV is a waste if the Chiefs don’t improve because the smaller the screen I have to watch them on, the better. I’m not even asking for a ‘W’ this year. I just want this franchise to return to prominence again and not have to be ashamed to wear my Chiefs gear in public. Santa, you may be the only one who can fix this thing. Matthew, I hope you get your Christmas wish, we will tell Santa how good you have been this year! This is great….unfortunately, your team is going NOWHERE!